Fentanyl is a synthetic opioid. They use it most commonly in chronic pain treatment. In addition, other uses can be reducing severe pain after surgery. Due to highly addictive traits, the abuse of this drug is quite common. Some patients get this medicine with a doctor’s prescription. However, this drug is also available on the streets. For example, you may find it in the form of a powder, paper, and tablet. Sometimes, dealers will cut it (mix it) with heroin. As a result, this may sometimes lead to a fentanyl overdose. Fentanyl is known for its incredible strength as a painkiller. We can understand its power by comparing it to morphine. Pharmaceutical grade Fentanyl is 50-100 times stronger than morphine. When bought off the streets it may be even more potent and thus more dangerous because it is often mixed with heroin, creating a deadly combination. The risk of a Fentanyl overdose is even higher than with other opioid painkillers, even when used as prescribed, because of its strength and interaction with other substances. An overdose can have lifelong effects and very often is fatal. America has witnessed an increase in synthetic opioid overdoses, such as Fentanyl, numbers rising 80% from 2013 to 2014. This topic was widely discussed following Prince’s death in 2016. The musician loved and known all over the world died of a Fentanyl overdose, sparking a conversation about the other thousands of lives lost every year from the same cause. Knowing the signs and symptoms of a Fentanyl overdose could help you save a life. Early detection and fast access to help is the only way to have a chance at minimizing any long-lasting, permanent effects. 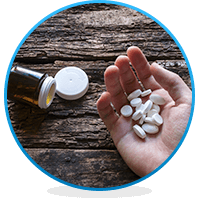 The best way to prevent an overdose from happening is to seek help before a user gets to that level of addiction. Though an overdose is possible in someone using Fentanyl as prescribed to them by a doctor, the risk of overdose is heightened dramatically in those who abuse it. Fentanyl is a highly potent drug, which raises the chance of having very strong abuse symptoms or even overdose. This is especially true for users who either snort or inject illegal drugs bought on the street, unaware if the drugs they are ingesting contain Fentanyl. For example, a heroin user may shoot up his usual dose of heroin, but unaware that what he just bought is cut with Fentanyl, magnify its effects and potency. This last symptom may lead users, even those with no criminal history, to explore illegal activities to gain access or money for Fentanyl. This may include shoplifting, prescription forging or robbery. Doctor shopping is also a common practice. Due to the fact that Fentanyl is available legally if you have a valid prescription for it, people will drive long distances and visit multiple doctors with the same injury or complaining of the same pain at each office to gain access to it. The rise in popularity of opioid prescribing in the US has led to the creation of multiple pain management clinics in relatively small areas, making this practice easier. What are the Symptoms of Fentanyl Overdose? Fentanyl is a very potent opioid. In fact, it can do serious damage to almost every organ in the human body. This is like many other substances in this category. Still, Fentanyl overdose can occur. This is even possible if a doctor prescribed it. That is one of the reasons why doctors closely track patients who use this drug. Sometimes, many things can trigger an overdose. For example, it may happen when you mix the substance with alcohol and/or other drugs. For recreational users of the drug, this can be dangerous. Have you noticed some of the symptoms listed above in someone you know? If yes, it is very important that you call 911 immediately. This is because Fentanyl overdose can have a fatal result. How Does Fentanyl Overdose Affect Your Body and Brain? Like other opioids, the drug binds to opioid receptors in our brain. As a result, it induces the feeling of relaxation and euphoria. Opioid receptors are very close to the center of the brain that controls breathing. Therefore, higher doses of this drug can cause breathing problems. Consequently, this deprives the body of precious oxygen. Ultimately, this can result in serious organ damage or death. Prolonged lack of oxygen can lead to a permanent brain damage. This is called hypoxia. Almost 90% of patients who suffer from a Fentanyl overdose will never fully recover. Therefore, this leads us to the conclusion that long-term effects of this drug are quite severe. How Much Fentanyl Does it Take to Overdose? Currently, it is very difficult to determine the exact dose of Fentanyl that can lead to an overdose, however, according to some medical professionals 250 µg of this substance represents a lethal dose. Statistics show that the cause of many fatal heroin overdoses is a combination of this drug and heroin. Unfortunately, in most cases, users aren’t even aware of what they’ve shot up. Another important issue is mixing the drug with alcohol. This combination can speed up and intensify the effects of the drug. The fatal dose of the drug can vary. It depends on other drugs taken, a person’s height, weight, age, and physical condition. It is not safe to think that just because a doctor prescribed you Fentanyl you can take it free from the dangers of overdose. There are different things that can affect the way Fentanyl works in your body, which is why while taking this medication you will be closely monitored by your doctor to help prevent any unwanted side effects. Doctors are also aware of the risks, which is why Fentanyl should only be prescribed to patients who are tolerant to weaker opiates but suffer from severe and chronic pain. If you are using a fentanyl patch, you should be aware that temperature affects the levels of the drug released by the patch. Large amounts of heat, such as being in contact with a heating matt, cause the patch to release more Fentanyl which can cause an overdose. Users taking Fentanyl for non-medical purposes are at an even higher risk of accidental overdose. It’s potency and how it reacts with other substances such as alcohol or other prescription or illegal drugs can be fatal. Fentanyl overdose death occurs due to respiratory depression. This is true in most cases. Regrettably, it happens when the user is asleep. Another potentially fatal consequence of Fentanyl overdose is cardiac arrest. This is because the drug slows down one’s heart rate. As a result, it significantly lowers blood pressure. In any case, treatment has to start right away, once the patient has been taken to the ER. First, the doctors will try to remove the drug from the system if possible. This requires stomach pumping and removing the fentanyl patch. That is if there is one. Naloxone may be used as an immediate response to a Fentanyl overdose. What it does is counteract the effects of opiates. This can be extremely helpful when the exact drugs that have been ingested are unknown. It also helps with Fentanyl overdose symptoms. It can reduce the depression of the CNS and the respiratory system. If the person is unable to breathe on their own, breathing support is necessary. Naloxone (Narcan is its brand name) can be administered through injection or nasal spray. Because symptoms of an opiate overdose can be severe, and considering Naloxone only lasts for 30-81 minutes, several doses of Naloxone may be necessary. This way, the doctors can reduce overdose symptoms as much as possible. Also, they will carefully track every vital sign. There is absolutely no doubt that Naloxone can and has saved lives but it does come at a cost because it can cause acute opioid withdrawal since it fights the effects of the opioid so quickly. This causes a variety of difficult side effects, to begin with, that may need to be addressed in further treatment. In major cities, many first responders such as police and firemen now carry cans of Narcan with them and use them daily. It can make all the difference in whether someone lives or dies. Though, of course, further medical attention is necessary, Naloxone provides the first initial jolt back to life. In some cases, full recovery is not possible. A Fentanyl overdose can lead to one’s inability to take care of themselves. As a result, the person will have to live in a special facility. Do you want more information about rehab facilities near you? Click here.